Kitchen cabinets are essential components of modern kitchens. Kitchen cabinets are so important that whenever kitchen renovation is being done, they top the list of the things that take first priority. In fact, modern kitchen remodeling tasks are basically centered on kitchen cabinets and the way they affect the overall kitchen layout. Kitchen cabinets make a personal statement of style. 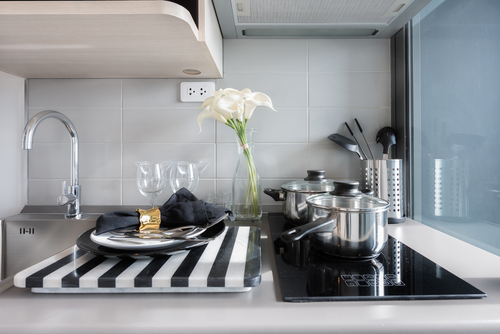 They are the focal points of every kitchen. The kitchen cabinet that is chosen therefore needs to give a reflection of the type of life that a person wants to live. Here are a few ideas that every homeowner should consider when buying a kitchen cabinet. · Design/style. Kitchen cabinets are not just a bunch of well-constructed boxes. They are more of aesthetic components than storage compartments. That is why they have to fit in the kitchen configuration. A kitchen based on a basic architectural design needs a basic kitchen cabinet design. On the other hand, modern kitchens based on complex architectural designs need a matching kitchen cabinet designs to complete the kitchen décor. There are even universal designs that can be used by people with disabilities nowadays. The versatility of the design is thus an important factor to consider especially in the modern day construction world. · Amount of space. You need to consider the amount of storage space that is enough for what you will be storing in the cabinet. If you have a lot of things to store in the cabinet, you may need larger shelves and drawers. On a different note, you should also ensure that the kitchen cabinets do not occupy a lot of space in the kitchen as you need to move around freely as you prepare meals and wash dishes in the kitchen. · Type of finish. Kitchen cabinets require high a high-quality finish that goes well with other aspects of the kitchen. The type of finish is also a function of personal tastes and preferences. For instance, granite finishes are more popular than solid surface finished. Whichever finish is chosen, all surfaces should be smooth and easy to clean so that the cabinet can be cleaned easily every other time. Remember cleanliness is second to godliness, especially in the kitchen. · Features. Modern kitchen cabinets are more complex than traditional ones with more user-friendly features. A case in point, a knife rack is one of the most important features of a modern kitchen cabinet. Storing knives is normally a bit tricky especially for a family with small playful children. The cabinet should actually have a spacious pantry unit with additional features such as a built-in cutting board. As you would expect, cabinets with more features are more expensive than those with basic features. · Color. Color matters a lot when it comes to kitchen cabinets. There is the floor, the interior wall paint and the color of basic kitchen fixtures and fittings to think of. The cabinet should be of a matching color to ensure that it does not look out of place. Do not forget also that women spend more time in the kitchen than men, and we all know the divine relationship between them and colors, espceially pink and red colors. · Brand. 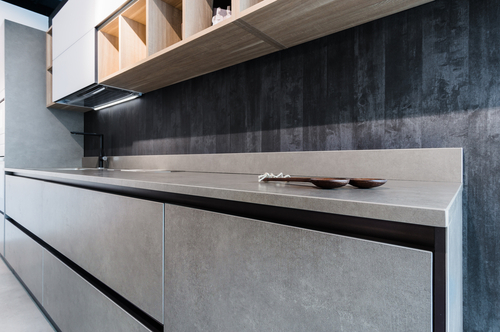 The number of kitchen cabinet manufacturers in Singapore keeps on increasing, as the demand for high-end kitchen cabinets continues to rise. You need to be careful to pick a reputable brand that will give you value for your hard-earned money. · Material. The need for people to be intimate with nature has increased the demand for wooden kitchen cabinets in Singapore. Wooden cabinets give an inkling of natural beauty at its best. Kitchen cabinets made of oak and pine are therefore very popular. There are also amazing kitchen cabinets that are made of maple, cherry, birch and hickory. Modern materials such as glass, vinyl or melamine also make great cabinets. The material preferred is, more often than not a matter of personal preference. · Overall workmanship. 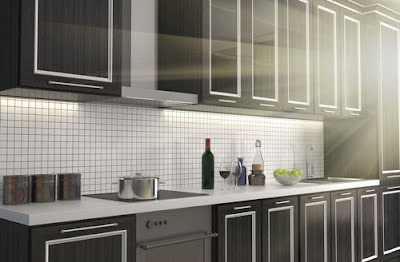 If you are looking for a good kitchen cabinet for your kitchen, you need to take a thorough inspection of the overall construction of the cabinet. Look at the face frame, drawer construction, and shelf construction. Take note of the utility of each part of the cabinet. The shelves, for instance, should be able to hold heavy loads without sagging. Workmanship should be impeccable in every aspect of the word. Kitchen cabinets are not the easiest things you can construct on your own at home. They need technical expertise and knowledge of construction codes in Singapore. However, if you have a bit of carpentry knowledge, you can still build your own kitchen cabinets. It is actually cheaper to build than to buy. · Do not adhere to kitchen cabinet standards blindly. Kitchen cabinets come in standard dimensions. However, since you are constructing one for yourself, you don’t have to adhere to these standards. Instead, size the cabinet to fit the space you have allocated for the cabinet in your kitchen. · Depending on the value of space in your kitchen, see to it that breaks from one cabinet section to the other occurs at the most suitable points. For instance, fitting two sections of a kitchen cabinet on either side of the dishwasher is a step in the right direction where space is very valuable. · Choose simple joinery. Ensure that your joints are both simple and strong. Indeed, when you get your kitchen cabinets wrong, nothing else seems alright in the kitchen. The kitchen is the second busiest room in the house and it needs to be at its best. Every kitchen is unique and therefore requires a unique kitchen cabinet. That is why custom-made kitchen cabinets are more popular than the one-size-fits-all designs.